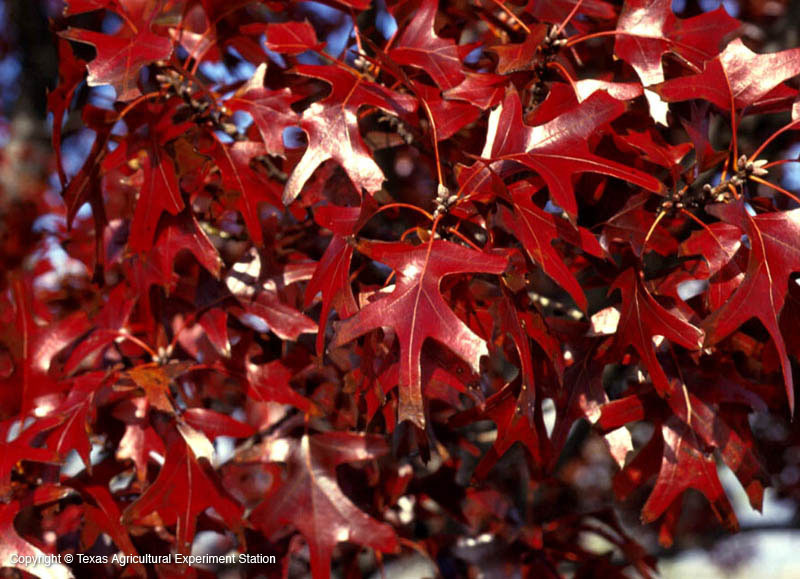 Texas Red Oak is a medium to small tree, rarely growing over 75 feet, but usually 30 to 50 feet, with spreading branches. It is found on alkaline limestone and neutral to slightly acid gravels and sands of north central and central Texas west to the Pecos River. Along the White Rock Escarpment through Dallas to San Antonio there are hybrids of Texas Red Oak and Shumard Red Oak, Q. shumardii - the pure Texas Red Oaks exist to the west. 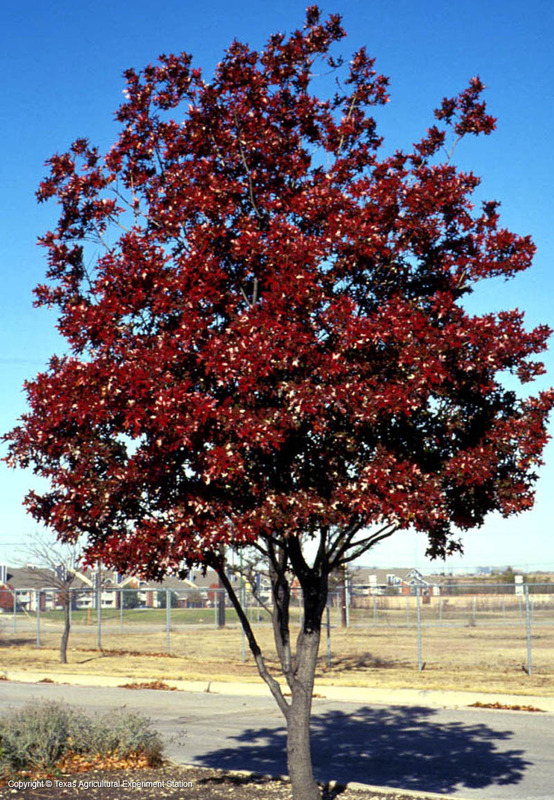 Texas Red Oak is smaller, more often multi-trunked, and more drought tolerant than Shumard Red Oak. 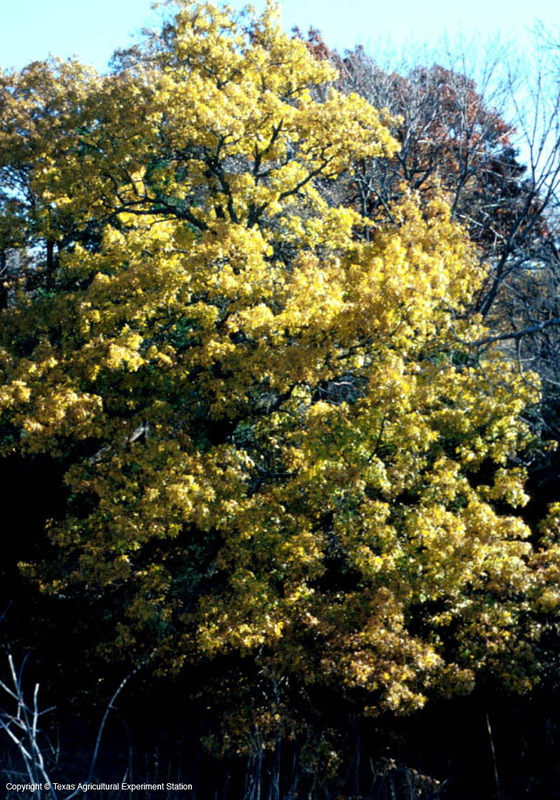 The foliage turns bright shades of vivid red and orange in autumn. The bark is dark gray to black with platelike scales, although sometimes it is light gray and smooth. 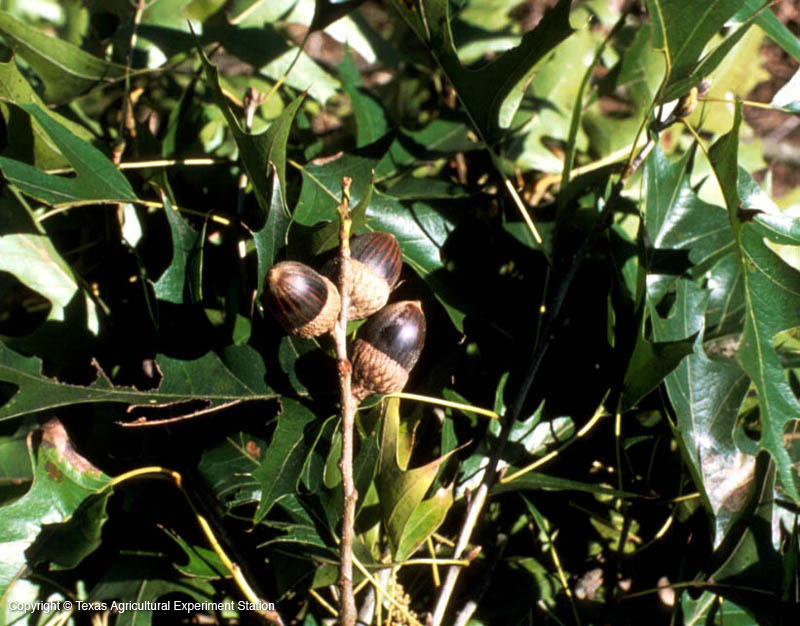 Additional Comments: There is a close relationship between Texas Red Oak and Shumard Oak. This has caused many botanical classification problems. 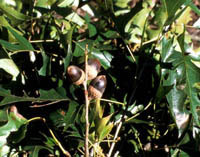 The two trees may be listed as two separate species in some manuals, while list Texas Red Oak as a variety of Shummard Oak.